Last night roads bosses demanded fresh crisis talks with bypass builders as the completion deadline has slipped yet again. Aberdeen Roads Limited (ARL) estimated that the final part of the AWPR – the crossing over the River Don – would be completed by the end of 2018. This was later changed to January but the month has now been and gone with the road still closed, prompting anger from the transport secretary. While the main structure is complete, the contractor has said that remedial work on the bridge is needed before an opening date can be revealed. 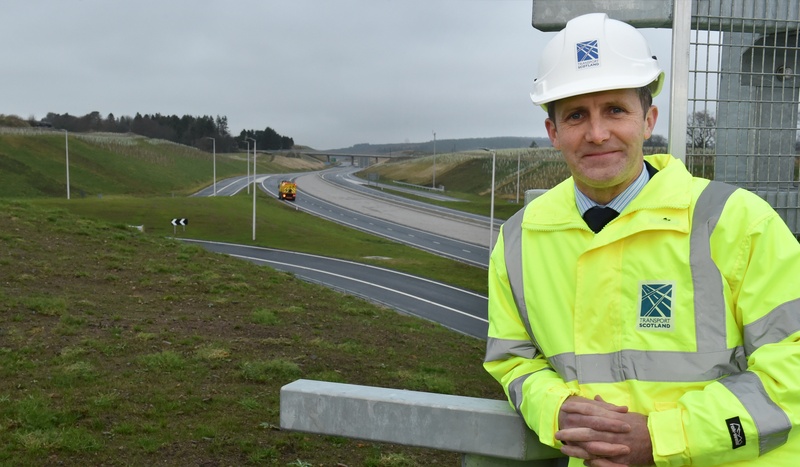 Now Michael Matheson has demanded answers as to why there have been so many hold-ups – and the potential implications they will have on future maintenance, saying it is vital he is given this information before sanctioning the opening of the bridge. He said: “We are now at the end of January and ARL is still not in a position to open this final section. “The people of the north-east will want to know why ARL has failed to deliver its own programme once again and I am committed to keeping them fully updated. “I am pleased to report all remaining physical works at the Don Crossing have finished. Mr Matheson has reaffirmed that the total cost of the project will remain £745 million, despite estimates that the delays have pushed this to £1 billion. ARL has said it will claim compensation to cover the additional costs incurred. But Mr Matheson added: “To put it more simply, we are not prepared to pick up the tab for mistakes made by construction companies. “No responsible government could ever saddle the public purse with uncertain costs for an uncertain period of time. “I am seeking yet another urgent meeting with the senior ARL team to leave them in no doubt as to how resolute our defence of the public purse will be. However North East Scottish Conservative MSP said the secretary was passing the buck.